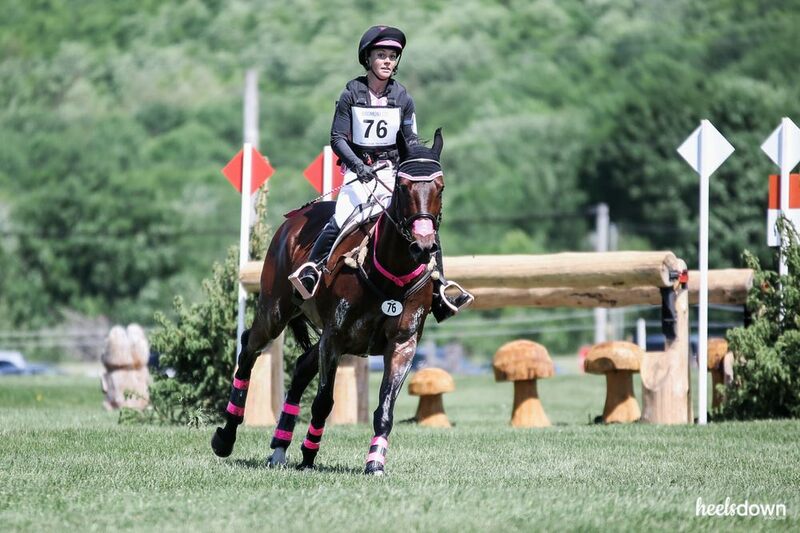 In the playful world of eventing, cross-country colours are chosen with utmost seriousness. It was one of the biggest decisions of my fourteenth year, when I first started competing. “What would you say if I picked tie-dye?” I asked my then-trainer. “I would disown you.” She replied without hesitation. I sighed. Back to the drawing board. All the kudos to Charlotte Collier for having almost a dozen pink references and still looking quite classy. It’s the little details that count – like matching Flair strips. After landing on royal blue and yellow, I spent an obsessive afternoon attacking every single item of tack in my possession with corresponding electrical tape. I sewed a strip of blue ribbon around the sleeve hem of a yellow t-shirt. Come cross-country day, I looked like a mounted advertisement for IKEA. I may or may not have written them a sponsorship request email. I did not hear back – I was a little offended. As I aged, my taste became slightly more refined. I came upon the realisation that my colours need not be primary, and that two or three references to it would do, instead of five hundred. Comparably minimal, a burgundy saddle pad, lead rope, and long-sleeved shirt signaled personal style growth. When my mother ruined my yellow and blue water buckets by filling them with chemical cleaners to scrub the patio deck with, I wasn’t even mad. I used it as an excuse to go out and buy sleek, classic black ones. 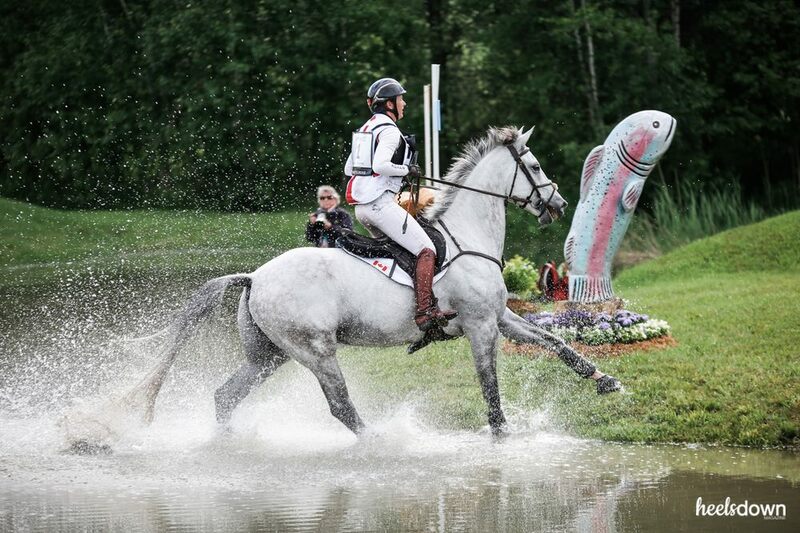 It was the eventing equivalent of a “Chanel phase.” Less is more. Currently horse-less and only riding casually, I sit wistfully and contemplate possible colours with the same dreamy expression as brides do with the shade of their wedding reception napkins. Though harder to find, what about a fashionable shade such as lavender, or mustard? Or, what if one owned mostly neutral-coloured equipment, switching out shirts and fly bonnets for the flavour of the moment? Revolutionary. All white takes even more courage to pull off than bright colours, but with a grey horse and brown boots it looks Fabulous with a capital F.
Cross-country colours mean something different to each eventer. For some, it’s but a way to keep track of whose brushes are whose at the barn. For others, it’s a deeply personal expression of style. Some stick with the same hue for their whole competitive careers whereas others, like me, are more fickle. Whether you are a first-time colour-picker, or are seeking a change, my only advice is that the sky is the limit. Personally, I do not believe that certain horse coat colours do or don’t “go with” red or purple or whatever. What antiquated thinking. Go ahead and wear yellow with your chestnut. The world is your oyster. Do tell me if you come across a mustard coloured saddle pad, though. If I find one, I may have to buy a horse to go along with it. I’m thinking dark bay. Tacky Or Classy: Where Is The Line?